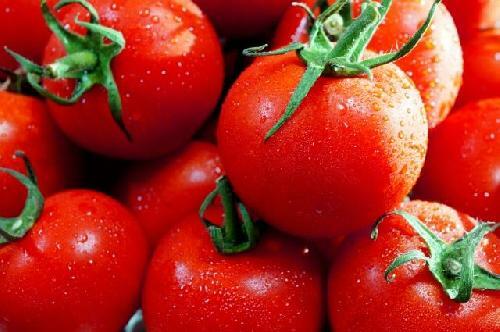 Tomato plants emit a volatile compound named hexenyl butyrate which can be used for closing the stomata, key in protecting plants from bacterial attacks. But Center for Science in the Public Interest and Environmental Working Group don't need to mobilize the trial lawyers, this volatile compound is all natural. That means is could be a new strategy for protecting crops from biotic and abiotic stress and improving yields, all without sound like scary science to their attorneys. It's also easy to yes because it is a volatile compound. It can be applied by spraying onto plants and also by using diffuser devices, it has zero toxicity and its use is already approved in food. So why hasn't it been brought into play before now? It hasn't been needed. There was so much improvement in yield to be had over the legacy organic processes that less toxic, more efficient ways to prevent weeds easily led to more food with less environmental strain than the organic process achieves. Now several pathogens whose entrance is the stomata can be tackled. Another application could be controlling fruit development and the ripening processes. In those cases, treatment with the compound could be used in order to cause, in a controlled manner, treated plants to enter an induced “lethargy” of sorts, as the stomata-closing involves delaying the development processes. This could provide farmers a new strategy for controlling harvest times and adjust them better to the needs of the market.